A body at a haunted house school fundraiser has hairstylist Marla Vail worried about her stepdaughter&apos;s safety. 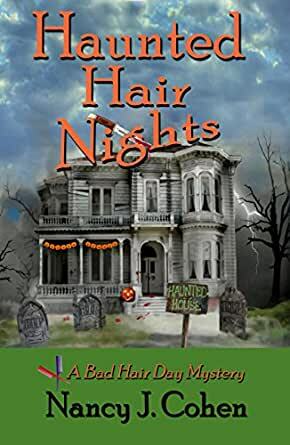 When history teacher Bill Ripari offers his property for a Halloween haunted house school project, hairstylist Marla Vail volunteers to put the scare factor into the props&apos; hair. She joins her stepdaughter along with other students, parents, and teachers to transform the wooded estate into a creepy attraction. Marla is busy creating decorations when she spies splash of red on the estate grounds. Curiosity compels her to go outside for a closer look, but the dark stain isn&apos;t fake blood meant to be part off right night. Instead, the trail leads straight to the history teacher&apos;s dead body. Worried about the kids, Marla puts on her sleuthing hat to investigate. She discovers every one of the volunteers present that night had a possible motive. Between slacker students, helicopter parents, unexpected heirs, and a stonewalling school administration, Marla has her hands full in solving the murder and keeping her stepdaughter safe. Join my reader list for updates on my new releases, giveaways, special offers and events at NancyJCohen.com/newsletter. Free Book Sampler for new subscribers! 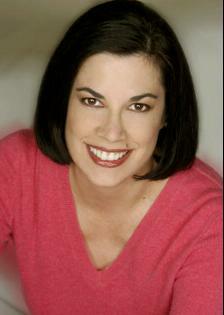 Nancy J. Cohen writes the Bad Hair Day Mysteries featuring South Florida hairstylist Marla Shore. Titles in this series have made the IMBA bestseller list, been selected by Suspense Magazine as best cozy mystery, won a Readers&apos; Favorite Gold Medal, and earned third place in the Arizona Literary Awards. Nancy has also written the instructional guide, Writing the Cozy Mystery. A featured speaker at libraries, conferences, and community events, she is listed in Contemporary Authors, Poets and Writers, and Who&apos;s Who in U.S. Writers, Editors, and Poets. When not busy writing, Nancy enjoys fine dining, cruising, visiting Disney World, and shopping. Visit her website at NancyJCohen.com. This was a short novella about Halloween and Breanna's school. It was Marla's first venture into helping out at school, and what a way to start! While working on preparations for a haunted house, Marla follows what she thinks is a trail of fake blood, only to find a body with a knife sticking out of it and plenty of real blood. The teacher who owns the property being used for the haunted house is the victim, and there are many red herrings and clues as to the why and who dun it! Although a quick and enjoyable read, it wasn't a favorite. I didn't like the victim being one of Breanna's teachers or the way Bree inserted herself into the questioning (with parental guidance.) Also in comparison to other Marla mysteries, it was a little too cooperative between Dillon, Marla, and Bree. It seemed to me that some of the tension and excitement was lost due to their family meetings and investigation plans. Still there were some surprises along the way and the slightest suggestion of current topics that might upset some readers. 5.0 out of 5 starsBad Hair, Maybe, but Good Book! A fascinating short story involving murder & high school angst. Love Marla & Dalton, & it was great to have their daughter Brianna more involved this time. Even in a short story you are kept guessing. It goes so fast and seemless, it doesn't seem possible to be over already. I love Bad Hair Day mysteries, enjoyed the nook nut it was too short!!!! Wait so long for new book to released, and its short!!!!! I always enjoy books by Nancy J Cohen as they are well written and with some humor, which keeps the story from being boring. I love a good holiday read and Haunted Hair Nights fits the bill, it will definitely get you into the Halloween mood! While Marla is helping her stepdaughter with a school project she comes across the murdered body of a teacher. Who could have killed him, was it a student, another teacher, a parent? Follow along as Marla tries to figure out whodunit with the help of her detective husband and his daughter. You'll also take away the real relationships these characters deliver. Marla Vail tries to do her best by her teenage step-daughter. She usually isn’t involved in school events, but this time she agrees to help with the Halloween haunted house project. The house is perfect for the holiday, especially when Marla discovers a real dead body. There are so many different situations going on, Marla doesn’t know where to begin in discovering the real culprit. Between Marla, her husband and her step-daughter, they hope to find the killer before anyone else ends up dead. I love this series so much. It’s especially nice to read how Marla is progressing with her new family. It’s realistic and fun combined with quite a bit of mystery. A haunted mansion is the perfect setting for a Halloween read. As a side note, this is a novella and not a full length book. It’s a quickie read, but it’s just the thing to tide readers over between books. I can’t get enough of Marla and her adventures. Even in a short book, the author does a great job of keeping the readers guessing. Whether you are a Bad Hair Day fan or new to the series, this standalone novella will keep you flipping pages wondering who done it until the end. Set between books 12 Peril by Ponytail (The Bad Hair Day Mysteries Book 12) and 13 due out in February 2017, Facials Can Be Fatal, we learn more about the relationship between step-mother Marla & Dalton's daughter, Brianna -- and what happens when a fund-raising Halloween event turns deadly. For those of us who don't want bad dreams for Halloween, this entry into the Bad Hair Day series is an excellent alternative.